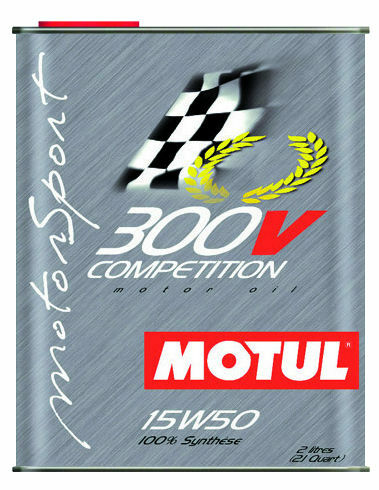 MOTUL 300V, de competitie lijn van MOTUL. Groot assortiment aan diverse soorten en typen competitie motorolie, remolie, koelvloeistof. 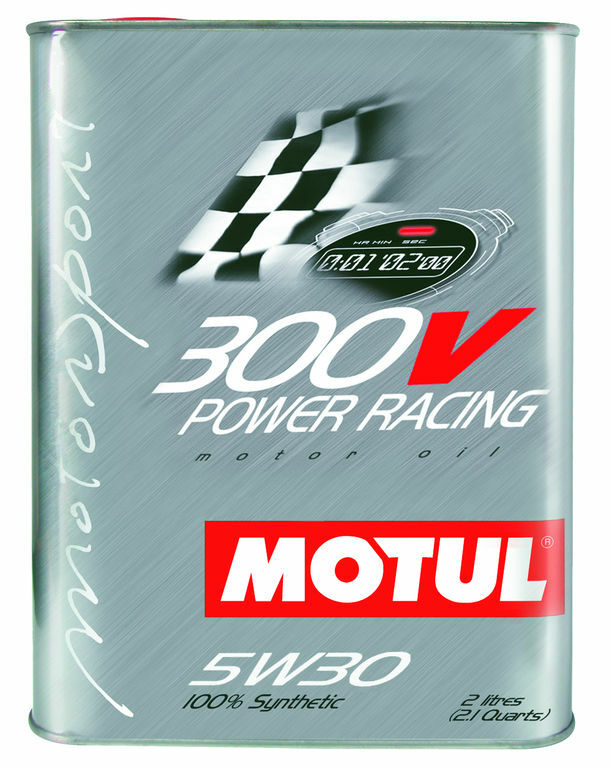 100% Synthetic racing lubricant with Double Ester-Technology for racing cars with atmospheric or turbocharged engines, operating at very high temperature and high rpm. 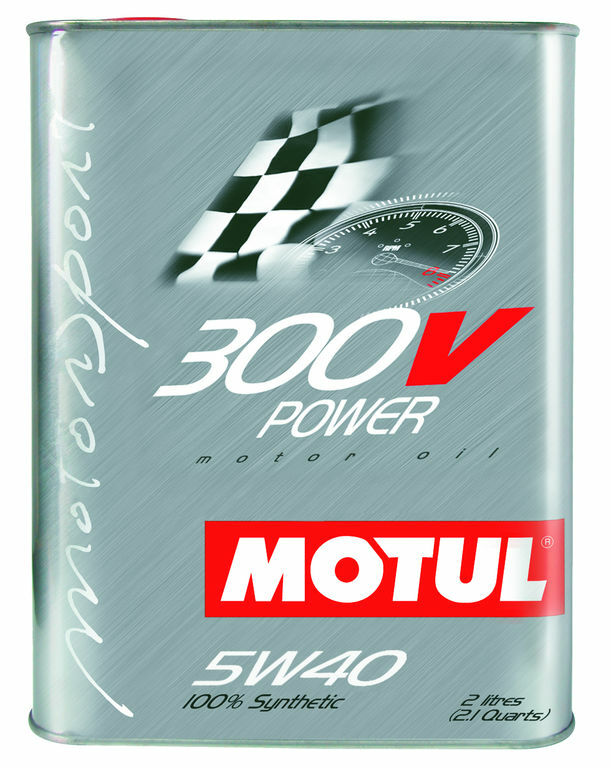 15W50 endurance grade is able to compensate fuel dilution in the oil and maintains oil pressure. Engine can run at very high temperature. 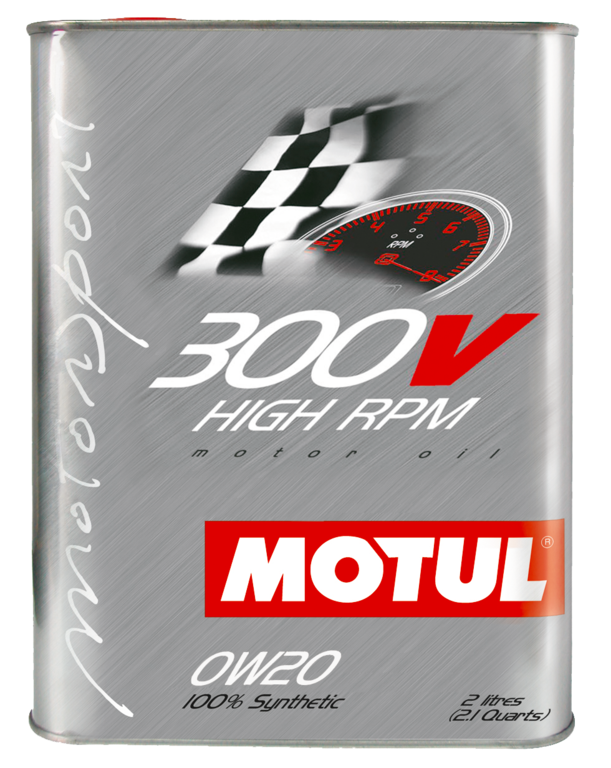 Extremely high HTHS viscosity protects reliable against wear and tear even under tough racing operating conditions. 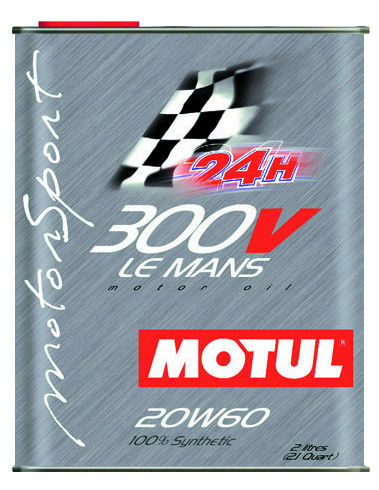 100% Synthetic racing lubricant with Double Ester-Technology for racing cars with atmospheric or turbocharged engines, engines, requiring maximum power output and fastest rev raisings. 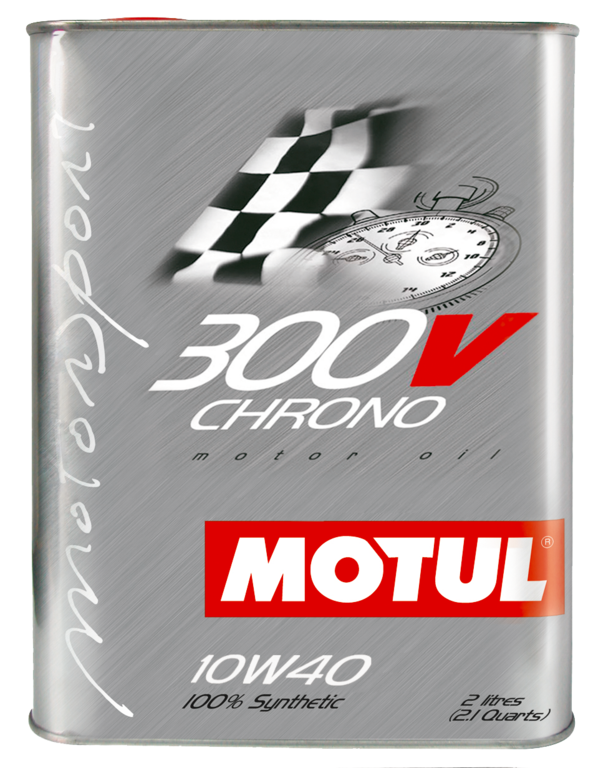 10W40 grade allows excellent oil flow into the engine, fast oil pressure at high rpm and high temperatures. Very high HTHS viscosity protects against wear and tear even under tough racing operating conditions.